A bite from an infected tick can cause the disease encephalitis. In bite any change occurs. But the virus enters the bloodstream and lymph nodes, begins to actively multiply in the blood vessels lining cells. Manifestations of tick-borne encephalitis is diverse enough, the incubation period can last from one to thirty days. The disease begins suddenly and is manifested by chills, a rapid rise in temperature to 38-39 degrees, which is held for 5-10 days. 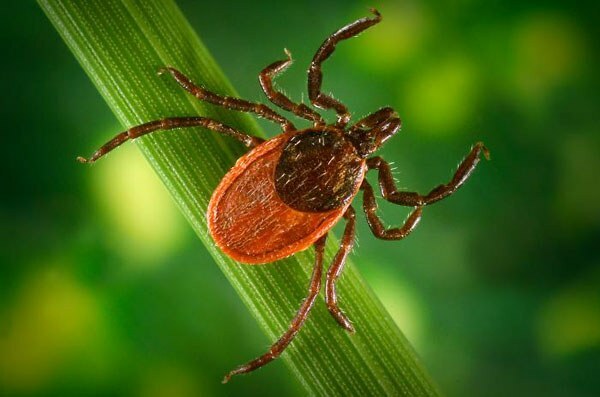 If you are concerned about severe headache, fatigue, weakness, body aches, sleep disturbances, nausea, and vomiting after being bitten by a tick, immediately contact your doctor. These symptoms can be signs of illness, tick-borne encephalitis. Many patients noted flushing of the eyes and face. From the third to fifth day after the first signs of developing Central nervous system: motor excitation or, conversely, lethargy; delirium, drowsiness, hallucinations. In some cases can have seizures. In some patients, infection is complicated by paralysis of muscles upper limbs and neck. The characteristic symptom for tick-borne encephalitis is an involuntary twitching of individual muscle groups. This may be a feeling of numbness of the skin, impaired swallowing reflex, the ambiguity of the question. Take the tick that bit you in a special lab, where it examined for the presence of the virus. If the analysis shows that the insect is infected with encephalitis or some other infection please contact the hospital and give the appropriate blood tests. There are emergency prevention of encephalitis, carried after the tick bite. In this case used drugs immunoglobulin and yodanthipirina. Also, you can assign rimantadine (not later than two days since the bite) in a dose of 100 mg two times a day with a 12-hour break within three days. Remember that encephalitis is a very serious disease that can lead to death or serious complications. The most effective prevention of infection of this virus is to prevent sucking ticks (observance of safety measures in nature) and vaccination. Leaving on nature, use of various protective repellent. If you have Pets (cats, dogs), take steps to protect them from these blood-sucking parasites. You can purchase a special collar that will protect your pet from the attack of mites.